Purple prairie clover is native to North America, and common throughout much of the continent. Like many members of the legume family, this clover “fixes” nitrogen from the atmosphere, allowing it to thrive in soils that are too poor to support many other plants. 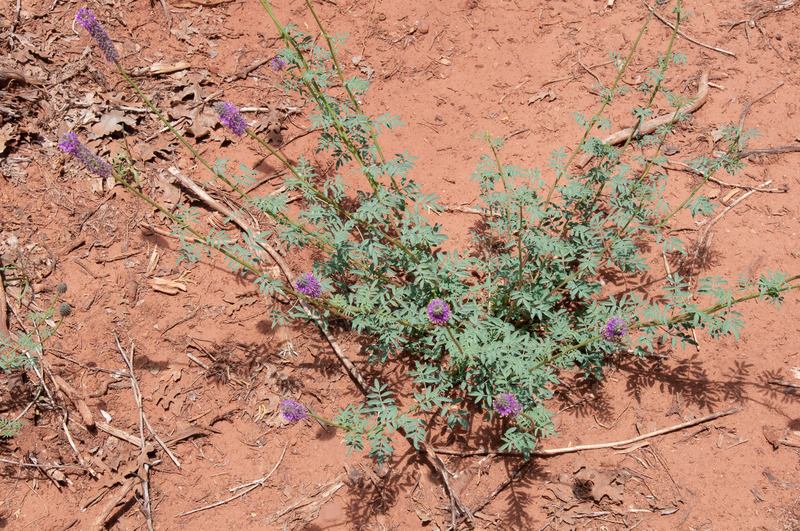 Identification: Plants are 9-36" (22-91 cm) tall, unbranched when young, becoming multiply branched when older. The main stem is woody and ridged. 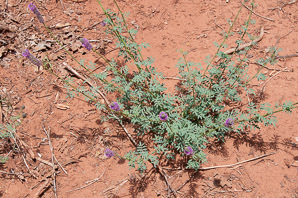 Leaves are odd pinnate, with 3-7 leaflets per group, each ⅜-1½" (1-4 cm) long × ⅛" (3.2 mm) wide. The flowerhead is a spike or cylinder on the tip of each branch, ⅜-2½" (1-6.6 cm) × ¾-1¼" (1.9-3.2 cm) in diameter when flowering. Flowerheads don’t bloom all at once—there is a band of bright purple flowers somewhere along the green head at any given time. 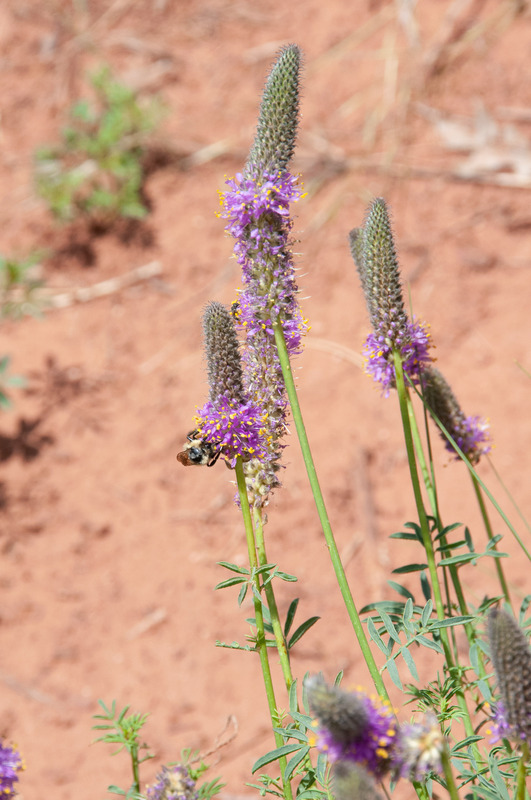 Individual flowers are about ¼" (8.5 mm) in size, with five magenta-purple petals and five tiny yellow anthers. 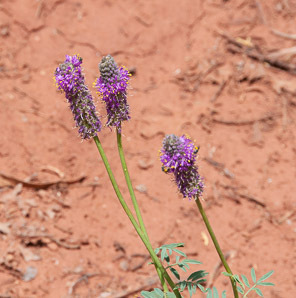 Edibility: Some indigenous peoples chewed the roots, said to have a pleasant, sweet flavor. Dried leaves have been used as a substitute for tea. 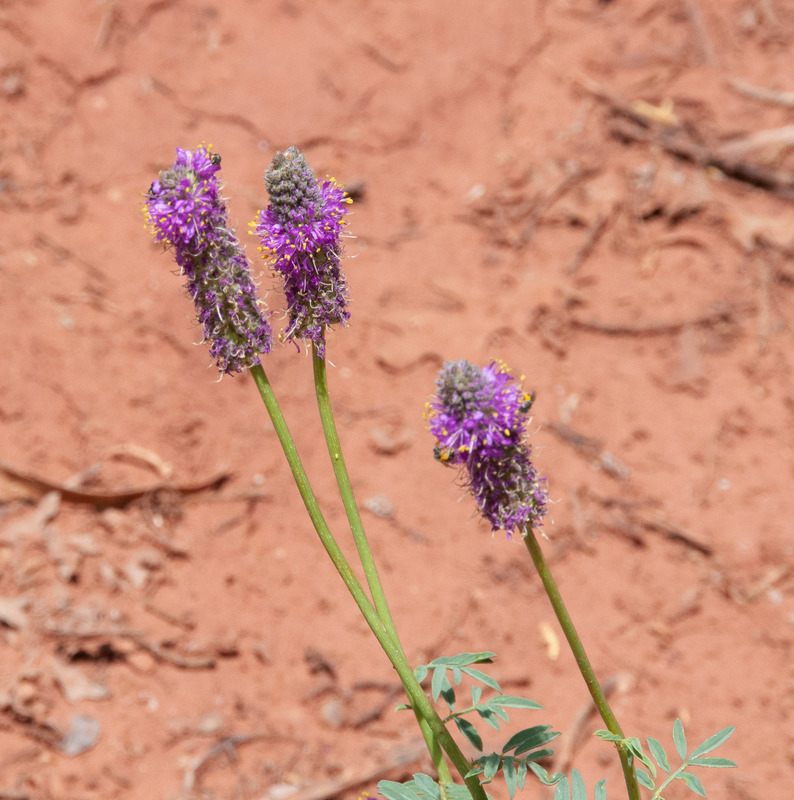 Dalea purpurea description by Thomas H. Kent, last updated 12 Oct 2018.